In the past year the stock markets in China erupted, contracting by nearly 50% in just three months, after having risen in the preceding year by 130%–truly a ‘bubble event’. That collapse, commencing in June 2015, continues despite efforts to stabilize it. Chinese bankers then injected directly $400 billion to stem the decline. Including other government and private sources, estimates are that no less than $1.3 trillion was committed to prop up stock values. So far it has produced little success, with more than $4 trillion in equity values having been wiped out in less than four months. Another $500 billion in foreign currency reserves were committed by China to prop up the currency, the Yuan, which has declined in tandem with its stock markets. To finance its efforts to support its currency, China then began to sell its large pile of US Treasury bonds. Nevertheless, capital continues in 2015 to flee China in large volumes in the wake of the stock contraction, expectations of more currency disinflation, an initial devaluation by China of the Yuan, and a general expectation of more of the same. Both China stocks and foreign exchange effects spilled over to other equity and currency markets throughout Asia, and as well to stock markets in the US, Europe and EMEs. In the case of the US and Europe markets, the contagion effect has not been that severe. Estimated around $150 billion, other counter-vailing forces also exist in US-Europe-Japan—i.e. potential more QE and suspension of US interest rate hikes—that have offset the initial China contagion effects. Not so, however, in the EMEs where financial assets in stocks and currencies followed the China trajectory more closely. The stock and currency declines in China and the accelerating pace of capital flight from China will likely more than negate any future efforts by China to stimulate its real economy, already slowing noticeably. Money capital flows out of China perhaps faster than China’s central bank and state banks will try to pump it in. Should China’s stock markets decline another 10% to 20%, the financial markets in and out of China, will experience even greater contagion effects and become potentially severely unstable. Meanwhile, European, Japan and US stock markets continue largely driven by the prospect of continuing QE, delays in US interest rate hikes, historic levels of corporate buybacks of stock, and record merger and acquisition activity—all of which provided a floor under artificially maintain stock levels. However, these forces may eventually become overwhelmed by China-EME market contractions. Contagion effects from the latter may eventually play a larger role in 2015 US-European-Japan stock financial asset deflation. 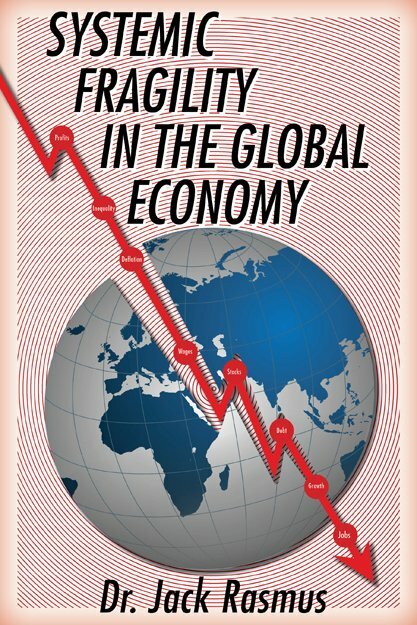 Except in the case of China, however, instability in global equity markets is not the potentially most severe source of financial instability in today’s global economy. That dubious distinction will likely reside with the bond markets. Globally stock markets represent about $40 trillion in value. Global bond markets, in contrast, equal at least two and a half times that with more than $100 trillion in assets. A bond market crash, even in one of its segments, could easily spread quickly to other bond segments and in turn other financial assets quickly as well, resulting in a crisis far worse than 2008-09. Several segments of global bond markets are prime candidates for precipitating a financial instability event of major dimensions. One is the high yield or ‘junk’ bond market in the US and Europe. Another is the excessive corporate bond debt escalation Emerging Markets, especially that increasing growing sub-segment of EME bonds issued in dollars. Massive issuance of corporate bond debt in China and what are called ‘CoCo’ bonds in Europe should be added to the list. Sovereign bonds is another area of bond instability, especially in Latin America, Africa, and in the Eurozone southern periphery (especially Greece, Italy, Portugal-Spain) and even in that region of the Eurozone referred to as ‘Emerging East Europe’, including Ukraine. Longer term, theUS Treasury bonds market might be added to the bond instability list of prime candidates for instability, given the emerging issues of growing Treasury bond volatility and concern over liquidity should T-bond transactions accelerate in a crisis. Hi Yield junk bonds in the US, and to a lesser extent Europe where they are growing especially fast, are perhaps the most unstable—along with EME and China corporate bonds. The junk bond segment represents bonds issued at high interest rates by the more financially strapped companies who cannot raise money through investment grade bonds or obtain bank loans. The bonds are typically short term borrowing earmarked for long term investing, a dangerous combination should bond prices begin to fall rapidly in a crisis. Within the junk sector in the US, a large proportion of the bonds have been issued to fund expansion of the shale-gas fracking industry which is now in severe contraction. Junk defaults have doubled in the US compared with the past year, and the default rate is forecast to double in 2015, according to bank research projections. As companies default and go bankrupt in oil and energy, the instability will result in price instability transmitted to other US junk bond segments. And as the US junk bond market contracts in general, it can easily spill over to Europe and to EME markets that have a similar ‘high cost, short term’ bond composition. While Europe has previously not been a big market for issuing high yield corporate bonds in the past, the market has there has accelerated especially fast since 2008 in terms of growth, from a mere $20 billion that year to $600 billion in the past year, as the traditional bank lending has declined and weak companies desperate for financing have turned to junk bond issues. The escalation of corporate bond debt in EMEs has been even more unprecedented. In the case of Latin American EMEs in particular, a large (and growing) proportion of that debt is also issued in US dollars. (Unlike for China, where the majority of corporate bond debt is in its local currency). The special problem this presents is, since the debt is in dollars, that debt must be repaid in dollars to investors. But if EME economies are in recession or slowing rapidly and global trade is stagnating—both of which are now the case—it means EMEs can’t earn from increasing export sales to the US or countries requiring payment in dollars, the necessary income with which to make the dollar denominated payments on their bonds as they come due. Government bond debt in the EMEs is yet another potential severe point of instability. This is true in particular of those EMEs that have been heavily dependent on ‘servicing’ or paying their sovereign debt from income earned from oil and other commodity sales. As prices for both have deflated dangerously and as demand for their oil and commodities have collapsed simultaneously, many of the EMEs are now approaching default conditions. Latin American EMEs—Venezuela, Brazil, Argentina, Ecuador—and African EMEs like Nigeria and others in Asia have will soon experience growing instability in their sovereign bond markets. As for European sovereign bonds, especially in the Euro periphery, their level of debt has not been significantly reduced since 2009, while in Greece, Italy, and elsewhere Eurozone government bond debt continues still to rise. Ukraine government bonds represent a special ‘black hole’ for Europe, with thus far no end in sight of financial support necessary to keep Ukraine’s bond markets, government and private, from further collapse near term. In the case of US Treasury bonds, it may seem counter-intuitive that this traditional safest haven for bond investing is a candidate for instability, even longer term. But it is. It is not just that the US Treasury market has exploded from $4.5 to nearly $13 trillion in assets since the 2008 crisis. The problem is that structural changes in the US financial system in recent years has created increasingly volatile liquid markets for US government bonds, often marketed by high risk taking shadow bankers. A potential crisis point is reflected in the increasing use of these bonds by corporations to borrow short term in the US repurchase agreements, or Repos, in the market to fund longer term investments. With Repos, a company puts up its government bonds as collateral to borrow cash short term from investors, often shadow bankers. Should short term investments collapse in price, liquidity for selling the bonds could prove significant insufficient, thereby driving down the price of Treasuries to excess levels and causing bond rates to rise. The Repo market (see below) is thus a serious weak point in the US financial system and US bonds. And US Treasury markets are thus subject to potential instability should the Repo market crack—as it did in 2008 in the case of Bear Stearns and Lehman Brothers investment banks, which had borrowed heavily and became dependent on repo financing. They went under when the Repo market shut down for them. The vast increase in the Treasury markets of nearly $9 trillion, much at low interest rates, will pose a related problem as the US government needs to refinance them in coming years, almost certainly at much higher rates of interest. Short period, massive escalations of multi-trillion dollars in asset values almost never end well—as China’s stock market crash shows or as the subprime housing bond market before 2007 or the tech dot.com bust of 2001 all have illustrated. As will be noted in more detail below, corporate bond debt has exploded as well in China to unsustainable levels—just as China’s stock markets had. While not yet dollar denominated to a great extent, the rise in volumes of China corporate bond debt since 2008 are so huge that the money capital that will be needed to refinance it all in the near time raises serious questions whether China private corporate debt can ever be successfully refinanced. In 2018 alone, 5 trillion Yuan (about $800 billion) will need to be refinanced, or rolled over, according to China government banking reports; hundreds of billions of dollars more as well before and after 2018. Given the especially large volumes involved and questionable repayment problems on the horizon—EME corporate bonds, China corporate debt, bonds associated with repo markets, government bonds in commodity-dependent EMEs, Euro periphery government bonds all reflect serious and growing ‘cracks’ in global bond markets that are expanding. EME corporate debt represent a problem not only of excessive issuance of corporate bond debt, both in domestic currencies as well as in dollars, but non-bond debt—i.e. corporate loans—as well. In Latin America the latter, dollar composition, is especially a problem. In some countries, like Mexico, the majority of the debt is issued in dollars. Even after subtracting China from the escalation of corporate debt from $5.5 to $18 trillion in EMEs since 2007, EME debt issued in dollars has risen by almost $2 trillion in the non-China EME sector. In China, corporate debt in general has risen from $2 trillion to about $12 trillion. So non-China EME corporate debt has nearly doubled, from $3.5 to $6 trillion while China’s has risen six-fold. The magnitudes of such corporate debt escalation cannot be end poorly. The same risks apply with regard to making payments on this debt for EMEs, whether involving bond debt or loan debt. Loan debt is of even greater volume and thus a problem and potential source of financial instability, as repayments become more difficult as EME economies falter and slip into recessions. Compared to other EME financial markets, China’s financial markets are even more potentially unstable, and because of the sheer size of China’s economy and markets are even more capable of precipitating a generalized global financial crisis. China’s equity and corporate bond markets have been noted above, but there are additionally three big financial markets that are particularly unstable in China today—Local Government Financial Vehicles (LGFVs), Wealth Management Products (WMPs), and debt associated with what are called ‘Entrusted Loans’. In all three markets, China shadow banks are deeply involved in providing the credit and therefore excessively leveraged debt that makes these three especially unstable. LGFVs represent the way in which local governments in China have financed infrastructure and commercial and residential construction spending beyond the financing provided by China government operated banks. Much of the LGFV financing has been arranged through shadow banks. Local governments have then sold real estate it obtains through forced sales from private owners to make payments on the debt. The problem is that land sales have been largely used up but the debt remains. In the process of debt escalation, real estate prices became a bubble. Now they are deflating, raising the real debt previously incurred while reducing the income source (real estate land acquisitions) for making debt payments. The LGFV debt was roughly 20% of China GDP in 2007, or $550 billion; it rose to 40% and $3.8 trillion by 2014. It is estimated that 30% of more than $3 trillion in all ‘nonperforming’ debt in China today from all sources is non-performing LGFV debt. That means debt payments are not being made and more than $1 trillion in LGFV debt is in technical default. The government solution has been to rollover the debt at lower interest rates. Whether it can continue to do so, as more than $7 trillion in such debt must be refinanced during 2016-2018, remains to be seen. The potential contagion effects of LGFV defaults starting in 2016 may prove significant, both within China and throughout the rest of the global economy. A second major financial asset of great potential instability is called the Wealth Asset Products or WMPs. These are also provided in significant degree through shadow banks. They represent bundled asset products sold to wealthy investors—comprised of roughly one third of stocks, one third local government debt, and one third industrial loans of small and medium businesses and state enterprises that are financially in need of private funding. The debt is opaque and held ‘off balance sheet’, not on the books of banks or other institutions. Like LGFVs, the escalation in such financial assets has been from just several hundred billion in 2007 to $2.9 trillion in 2014. Tied to stocks and local real estate, as these markets have deflated in 2015, the WMPs have no doubt lost massive valuation as well, making them highly unstable. A third severe problem area in China financial markets involved ‘Entrusted Loans’, or ELs. These are associated with the major shadow bank sector in China called ‘Trusts’, as well as the China banking system. Entrusted loans provide a kind of ‘junk loans’ to industrial companies in particular, especially government enterprises in coal, steel, and other commodities production, that have been in severe distress as China growth has slowed and global demand for China steel, etc., has declined sharply. These loans are highly leveraged and thus subject to great volatility should financial asset deflation spread between markets in China, as stock markets implode, real estate values continue to decline, and LGFV and WMPs values fall further. Like LGFVs and WMPs, Entrusted Loans have surged from $272 billion in 2007 to nearly $3 trillion. The three combined financial asset markets—LGFVs, WMPs, and ELs—combined represent more than $10 trillion private sector debt that is potentially highly unstable. When considered in relation to China equity and general corporate debt instability, the potential for a general financial crisis in China is not insignificant. Granted, China’s economy has great reserves in terms of foreign currency and assets available, and its government is capable of rapid response to major crises. 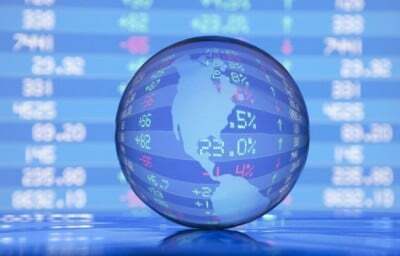 However, the combined effects of all the above may prove overwhelming in the short term, and government responses may not be able to offset the panic by investors in the short term that could lead to a major financial contraction, followed quickly by a subsequent real economic contraction by an economy already slowing in those terms. US financial markets today are not the primary locus of instability. The massive injections by the federal reserve central bank has offset the financial asset losses of most large banks and shadow banks, as well as big private investors, that occurred in 2008-09—in the process taking the losses onto its own Fed balance sheet. The private debt was not eliminated; it was only moved. Notwithstanding that, there are several financial markets in the US that are candidates for financial instability. The junk bond market was previously noted, as was the Repo market and its strategic relationship to US Treasuries and the issue of bond liquidity. Mutual funds’ total assets have accelerated tremendously since the crisis as well, reflecting the extraordinary growth of financial wealth in the wake of the Fed liquidity injections and subsequent exploding values in US stocks and bonds. Mutual funds are also connected to the Repo situation, however. And should the Repo market experience significant liquidity problems, mutual funds will be exposed as well as bonds. The US government and Fed therefore are desperately trying to reform and shield the Repo and Mutual Funds markets from future instability, although have succeeded thus far poorly in doing so. Other growing unstable markets include those for Leveraged Loans and Exchange Traded Funds, or ETFs. The former has surged again as banks and shadow banks have been providing highly leveraged debt to companies and investors involved in historic high merger and acquisition (M&A) activity (up 179%)—which, along with corporate stock buybacks (up 287%), has been driving much of US speculative stock gains in the past year. One shadow bank alone, Blackrock, controls more than a third, over $1 trillion, of the assets in this market. Since 2013 global M&A investing has risen to $4.6 trillion in 2015, compared to $2.2 trillion in 2009, according to the global research firm, Dealogic. These loans represent short term borrowing to finance long term investing, a classic condition for financial instability. ETFs are a new financial innovation that allow investors to bundle stocks, bonds, mutual funds, and other assets and ‘trade’ them instantaneously as if they were stocks. Because they ‘link’ market securities for stocks, bonds, etc. into one financial asset, they represent a kind of securitized asset product. And because their price can change by the minute and second, ETF asset values are highly volatile and can collapse precipitously as any of the bundled asset market securities in them collapses, as they did by 30%, for example, on August 24, 2015 in the case of Blackrock. US defined benefit pension funds and municipal state and local bonds are also potentially unstable. Neither have fully recovered from the last crisis. Pension funds depend upon general interest rates remaining sufficiently high to ensure returns on investment to pay for retirement benefits. But a decade of central bank zero interest rates has played havoc with pension fund returns, forcing them to search desperately for more ‘yield’ (returns) by undertaking risky asset investments. Public sector pension funds are further at risk due to the still largely unrecovered financial losses experienced by many states, and especially cities, school districts, and other local government entities since the 2008 crash. Some states and many cities remain in the red financially still today from financial investment losses associated with the 2008-2009 crash. The picture remains highly uneven throughout the US for US defined benefit pension funds. Some states and cities recovering, but many are still not. Should another financial crisis erupt, municipal bond rates will no doubt rise even further, resulting in a state and local government fiscal crisis far worse than in 2008-09. Another area of consumer finance and debt in the US is the student loan market. In recent years it has escalated from several hundred billion to more than $1.3 trillion. While not a source of major financial instability, student debt functions already as a major drag on the real economy and consumption in particular. In a strange arrangement, the federal government profits significantly from this asset, much but not all of which it legislatively has redirected away from the private banks. Government sovereign loans and debt remains a major problem in the Eurozone in particular. The debt is unevenly distributed, making it politically explosive, moreover, where it is focused in particular in the Euro periphery. Eurozone monetary and fiscal policies continue to exacerbate the debt, causing government bond rates to remain excessively high in the affected economies and, conversely, driving bond rates in Germany and elsewhere into negative territory and thus further yet unknown consequences for instability. One solution proposed has been the issuance of a new security called a Convertible Bond, or CoCo bond. This new bond is designed to convert from a bond to equity in the event of a financial crisis. Because it may convert, and result in almost a near total loss as is potentially the case of equities compared to bonds, the CoCo bond pays a higher interest rate to investors. It is riskier in other words. It is a kind of government analog to junk bonds. In the desperate search for yield by many investors, they have piled into the security. However, should a severe instability event erupt in Europe, CoCos could quickly lose much of their value. The general government debt problem, which now after 8 years in Europe has not abated but actually continued, combined with Europe’s stagnant economic real growth, has resulted in a high level of non-performing debt remaining on Euro bank balance sheets. Non-performing loan and bond debt in the Eurozone is estimated by some as high as $1 trillion. As in China’s case, and increasingly for EMEs in general, companies with a high level of current non-performing corporate debt typically become companies that default in a subsequent crisis. Two remaining financial markets of general global relevance are foreign exchange currency trading (FX) and derivatives speculation. As the data table above illustrates, FX has exploded in terms of its size since 2009, which reveals the contribution of the massive liquidity injections by central banks, a good part of which has found its way to global currency trades and speculation. The daily trading volumes have almost doubled, to $5.3 trillion in purchases of currencies daily. Much of that is done by central banks, banks, and global corporations, but a significant segment of 10% of the trading is now ‘retail’; that is, done by speculators large and small, hedge funds and even small investors who, up to recently, had been financing this trade by use of credit cards. As governments continue to inject liquidity via QE they in effect create excess liquidity that fuels currency wars and volatility. And as countries attempt to devalue their currencies to gain a temporary advantage for exports, the volatility grows further. It all draws in more shadow bankers and speculators who feed off of the volatility, making currency markets more subject to financial speculation and causing havoc to economies and economic policies. Not least, another problem globally is the role played by derivatives—interest rate swaps, credit default swaps, and other innovative financial products that continue to proliferate and grow and, in the process, add to potential contagion effects and further asset price volatility. Sometimes reference is made to what is called the notational value of derivatives, now in excess of $700 trillion. The more important figure, however, is not the notational but the potential loss values measured in what is called the ‘gross value’ of derivatives. While not $700 trillion, gross value and potential loss represents a massive $21 trillion, up from $15 trillion in 2008. In other words, derivatives and their potentially extreme financial destabilizing effects—which were clearly revealed in the 2008-09 crisis, have not been reduced. In fact, they have grown continually. And new forms of financial speculation involving derivatives have been created as well. An example of such is the ‘swaptions’ market for credit default swaps, or CDSs. It represents betting on the movements of CDS. The latter are a kind of a ‘bet’ that financial assets will deflate significantly, in which case a ‘payoff’ for the CDS is made. But swaptions take it one step further: betting on the broad index of CDSs as a financial security itself. Derivatives trading is growing rapidly, having reached record levels in 2014. Previously largely concentrated in the USA and UK, it has begun to grow as well in Southern Asia—in particular in Thailand, Singapore, Malaysia. Japan has begun significant volumes of derivatives trading. Europe is attempting to promote it. And China will open a trading section in Shanghai in 2015.